A bill that would give housekeepers, nannies, and elder care workers overtime passed in the California Senate on Wednesday. 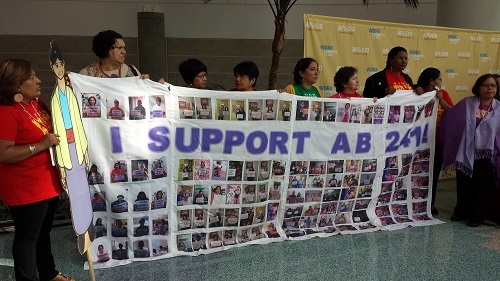 The Domestic Worker Bill of Rights law, known as AB 241, passed in the California Assembly in May. Last year Governor Brown vetoed similar legislation because he felt that extending overtime was too costly. According to a report from the National Domestic Workers Alliance, 91% of domestic workers indicate that overtime provisions don’t exist in their work contracts. I covered an event in Los Angeles earlier this week for NBC Latino on the Domestic Worker Bill of Rights. Check it out here.